Three and a half years ago I started my PhD in medieval literature at the University of Surrey in Guildford. A year later, in 2015, my PhD supervisor, Professor Diane Watt began leading an international network of researchers on the Leverhulme Trust Project, ‘Women’s Literary Culture & the Medieval Canon.’ As the funding for this project officially draws to a close, I want to offer a few thoughts on the third and final event of the project, the ‘Women’s Literary Culture & the Medieval Canon International Conference’ which was held at the University of Bergen from June 22nd-24th 2017 and co-organised by Professor Diane Watt and Dr Laura Saetveit Miles. The conference, which was supported primarily by the Leverhulme Trust with additional support from the University of Bergen Department of Foreign Languages småtriftsmidler fund and a UiB SPIRE Grant, was preceded by two smaller workshops held at Chawton House Library (2015) and Boston (2016). One major difference between the conference and the previous workshops was the scale of the event. 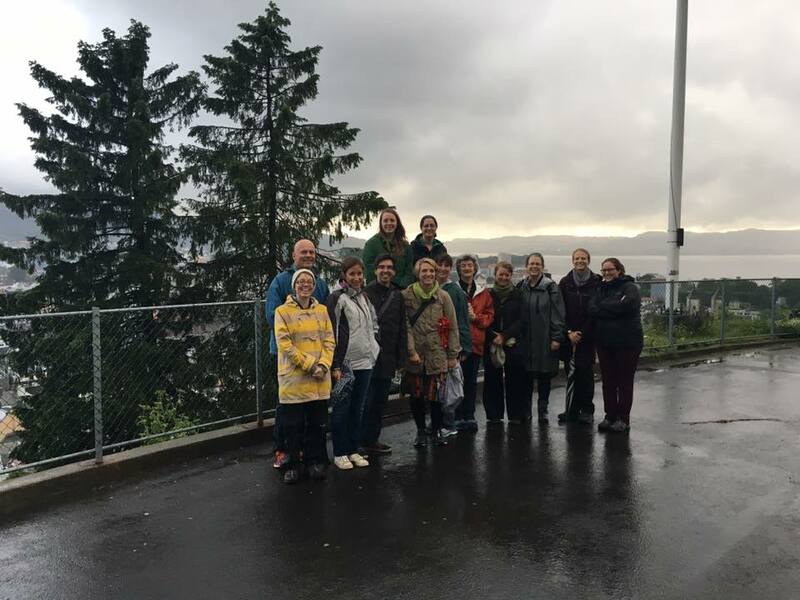 Whereas the first two workshops had concentrated on the Network Partners and a small selection of invited speakers, the conference at Bergen was attended by more than sixty scholars from across the globe. In addition, the size of the conference meant that the programme offered a wide variety of sessions relating to women’s literary culture and the medieval canon, and it was structured so that there were four plenary panels across the three days and six parallel sessions focusing of different aspects of medieval women’s writing and engagement with textual culture. These topics ranged from women’s roles as readers, authors, visionaries, and patrons; to questions of gender and genre; and finally to manuscript production and textual transmission. 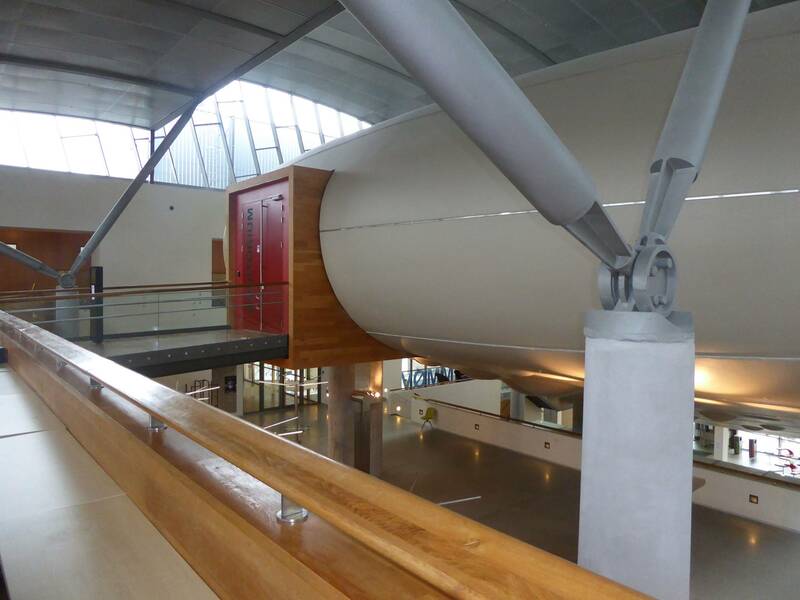 The conference is also summarised on Storify. 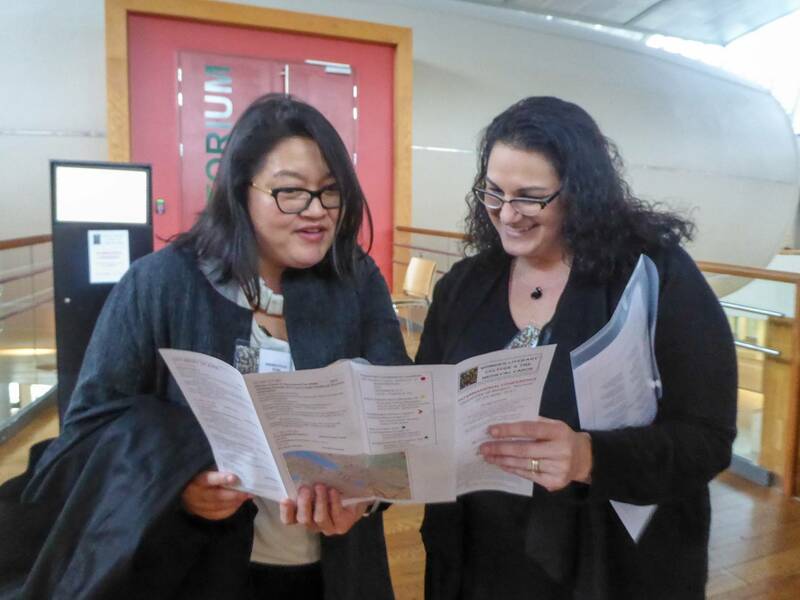 Dorothy Kim and Michelle Sauer consult the conference programme. Diane Watt opened the conference by welcoming us all to Bergen and explaining the motivations behind the project and the ways in which it had developed from its conception in 2015. The conference proper then started with the first plenary panel consisting of two joint papers. The first paper was delivered by Diane Watt and Jane Clayton (University of Surrey) who spoke about the Paston women’s involvement in literary culture with Jane arguing that at least nine of the Paston letters were written by female correspondents. The second collaborative paper was presented by Network Partner Liz Herbert McAvoy (Swansea University) and Roberta Magnani (Swansea University) and was another highlight of Day One. Liz and Roberta presented on enclosure and female piety in Geoffrey Chaucer’s The Knight’s Tale examining the queer spaces of the hortus conclusus and the three pagan temples and the generative power of female-coded desire. The three parallel sessions that made up the rest of the programme for the day included papers on women as readers, women and textual culture, women as owners, women as patrons, women and the household, women visionaries, along with Bridgittine texts and Bridgittine readers. Notable papers from the sessions I attended included Venetia Bridges (University of Durham) who examined gender and metanarrative in medieval French romance and Dorothy Kim (Vassar College) who looked at the representation of ‘the Jew’, ‘the Ethiopian’, and St Margaret in relation to women readers. Day one concluded with a drinks reception at Knut Fægris Hus which meant plenty of time for networking and continuing discussions from earlier sessions. The evening reception atKnut Fægris Hus. The second day of the conference started with three fascinating papers by Network Partners Corinne Saunders (University of Durham), Sue Niebrzydowski (Bangor University), and Amy Appleford (Boston University). Corinne examined the material meaning of devotional texts such as The Book of Margery Kempe and analysed Margery’s embodied experience of religion. Sue’s paper ‘Farts, Tarts and Bodily Parts: Medieval Women’s Wit’ argued that the literature of laughter has struggled to maintain its place in the canon and demonstrated its importance in the Middle Ages and our study of the Middle Ages. Amy spoke on the ascetic work of Elizabeth of Spalbeek. Laura Kalas Williams (Swansea University) presented another notable paper on the recipe contained in BL Additional MS 61823, the manuscript of The Book of Margery Kempe. On day two I also presented my own paper on queer female characters in Marie de France’s Lanval for the panel ‘Masculinity and Femininity in Romance’. I was fortunate to follow two excellent and intriguing papers on Old French texts and manuscripts: Sophie Harwood (University of Leeds) analysed representations of women in illustrated manuscripts of the Roman de Troie, pointing to their depiction as warriors, and Kathy M. Krause (University of Missouri-Kansas City) spoke about the large number of female protagonists in Old French narratives. The afternoon concluded with a poetry reading by Alwyn Marriage where she also launched her book ‘In the Image: Portraits of Mediaeval Women’. Although I was unable to attend, day two ended with a perambulation session on Mt. 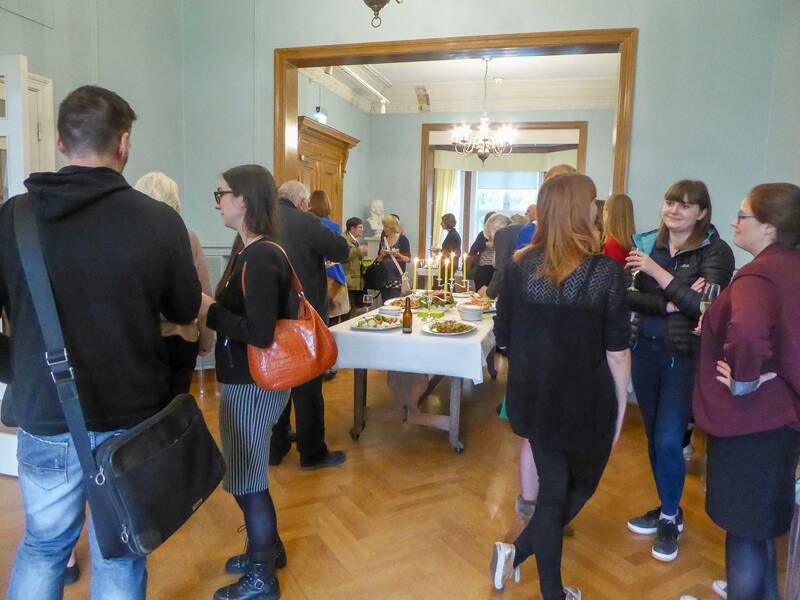 Fløyen organised by Laura Saetveit Miles where attendees could enjoy the surroundings while discussing topics relating to the theme of the conference. 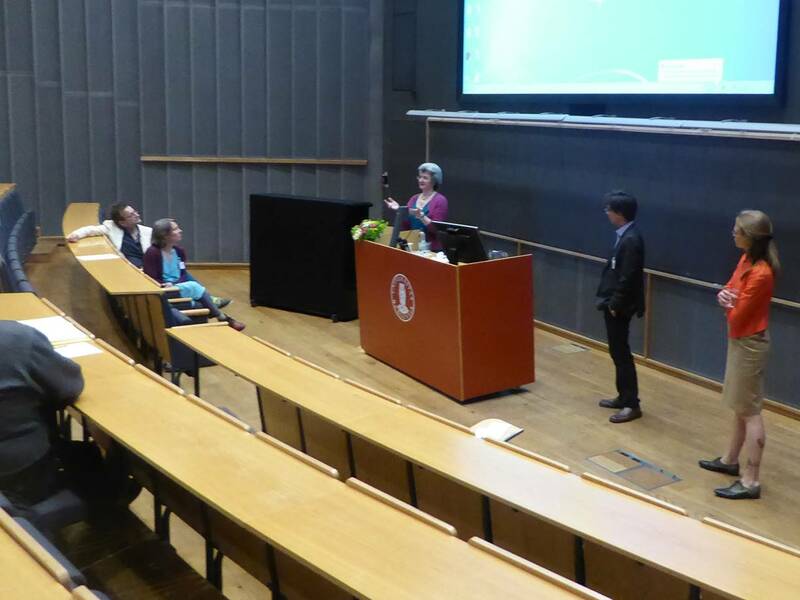 The third and final day of the conference opened with an excellent penultimate plenary session by the Network Partners Laura Saetveit Miles (University of Bergen), Nancy Bradley Warren (Texas A&M University), and Denis Renevey (University of Lausanne). Laura discussed Elizabeth of Hungary and the canon, Nancy presented on the Lussher Psalter looking in particular at medieval devotion and its afterlives and then Denis spoke about mapping the feminine in Disce Mori. Following the plenary, there were parallel sessions on women from ‘Foundation to Reformation’, hagiographic and devotional texts, and books and visions. Hetta Howes (Queen Mary University of London) paper on The Feistis and the Passion of Our Lord Jesu Crist and fluidity, was particularly interesting. Finally, there was a plenary session sponsored by SPIRE on ‘Thinking Outside the Canon with Medieval Women Visionaries’ which included papers by Steven Rozenski (University of Rochester), Jessica Barr (University of Massachusetts Amherst), Brandon Alakas (University of Alberta), and Catherine Batt (University of Leeds). 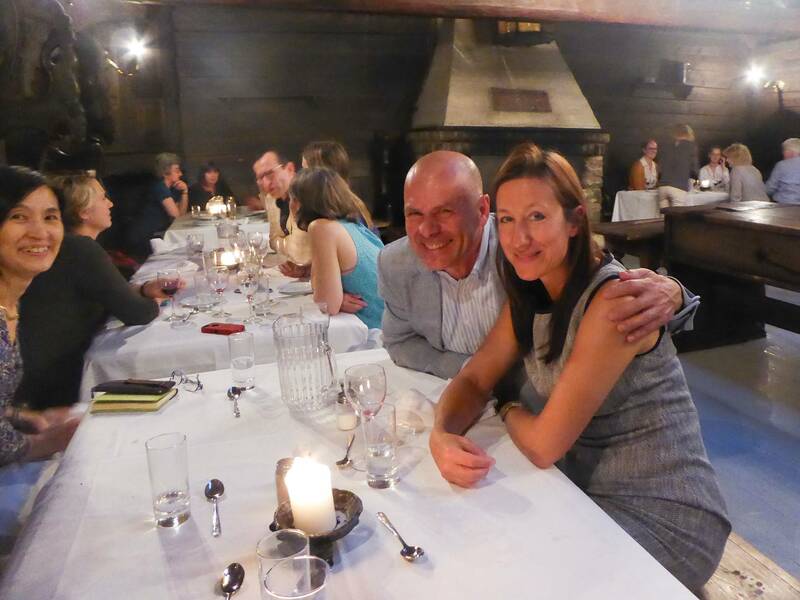 The conference officially concluded with a reception at the Biblioteket Bar and a delicious banquet dinner at Schøtstuene where we learnt about the compelling history of the assembly rooms and the Hanseatic merchants who used them. The conference banquet at Schøtstuene. Last summer was a strange time for me personally because I submitted my PhD thesis in March 2017 and was preparing to defend it at my viva examination. I was back working in retail while I waited to start a job at the University of Surrey in October and at times felt very isolated from academia. The ‘Women’s Literary Culture & The Medieval Canon International Conference’ was therefore a much needed lifeline. The inclusive, welcoming atmosphere of the conference allowed for stimulating discussions about medieval women’s participation in literary culture in the Middle Ages. This engaging and exciting environment, as well as the beautiful location and long summer days, provided the perfect setting to once again focus my attention on academia (I managed to get a lot of work done for my next conference paper at Leeds International Medieval Congress). I am very grateful to Diane, the other Network Partners, and the Project Facilitator Lynette Kerridge, for allowing me to participate in this project over the last three years. Being associated with the project has enabled me to develop my own thinking about medieval women’s writing, particularly in regards to one of my favourite medieval writers Marie de France, but most importantly it has inspired me to encourage my students to challenge and deconstruct the notion of the literary canon and to recognise that women have always had a large role to play in literary culture. About the author: Amy Morgan was awarded her PhD in the summer of 2017, and named Faculty of Arts and Social Sciences Postgraduate Researcher of the Year. She is currently a Lecturer in English Literature at the University of Surrey.